The embedded C is the most popular programming language in the software field for developing electronic gadgets. Each processor is associated with embedded software. 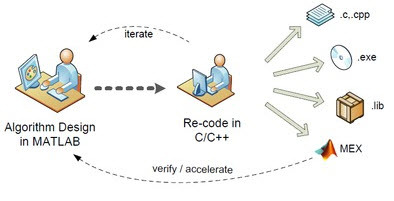 Embedded C Programming plays a major role in performing specific functions by the processor. In our day-to-day life we frequently use many electronic devices such as washing machine, mobile phone, digital camera and so on will work based on microcontrollers that are programmed by embedded C.
The C code written is more reliable, portable, and scalable; and in fact, much easier to understand. The first and foremost tool is the embedded software that decides operation of an embedded system. 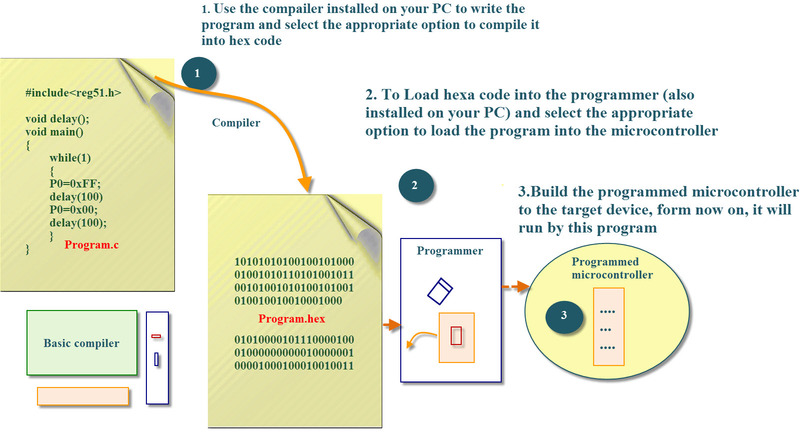 Embedded C programming language is most frequently used for programming the microcontrollers. 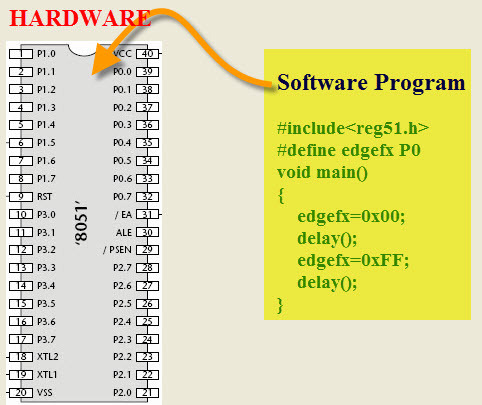 For writing the program the embedded designers must have sufficient knowledge on hardware of particular processor or controllers as the embedded C programming is a fully hardware related programming technique. Earlier, many embedded applications were developed by using assembly level programming. However, they did not provide portability to overcome this problem with the advent of various high level languages like C, COBOL and Pascal. However, it was the C language that got extensive acceptance for embedded systems application development, and it continues to do so. The embedded system is defined as the combination of embedded C programming software and hardware part majorly consist of microcontrollers and it is intended to perform the specific task. These types of embedded systems are being used in our daily life such as washing machines and video recorders, refrigerators and so on. The embedded system was first introduced by the 8051 microcontroller. The 8051 microcontroller is a basic microcontroller, it is first introduced by the ‘Intel Corporation’ since 1970. It is developed by the 8086 processor architecture. The 8051 is a family of the microcontroller, which has been developed by different manufactures such as Philips, atmel, dalls, and so on. The 8051 microcontroller has been used in lots of embedded products from small children’s toys to large automotive systems. 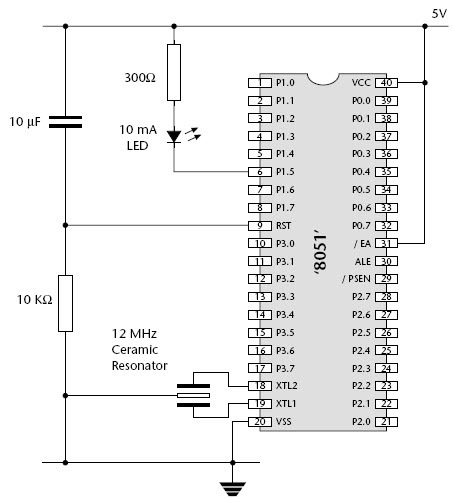 The 8051 microcontroller is the 8-bit ‘CISC’ architecture. 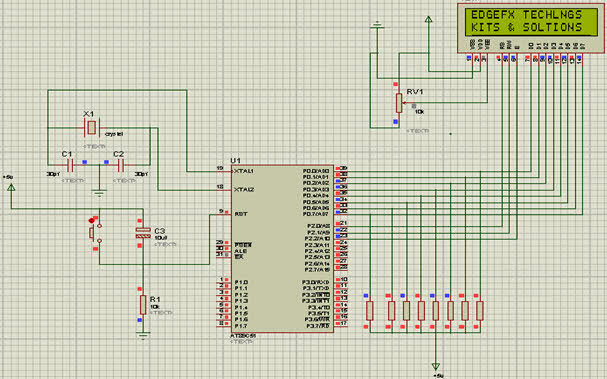 It consists of memories, serial communication, interrupts, input/output ports and timer/counters, built into a single integrated chip, which is programmed to control the peripheral devices which are interfaced with it.The program is stored in the RAM memory of the microcontroller but before writing the program, we must aware of the RAM memory organization of the microcontroller. The “sbit” is used for declaring the single PIN of the microcontroller. 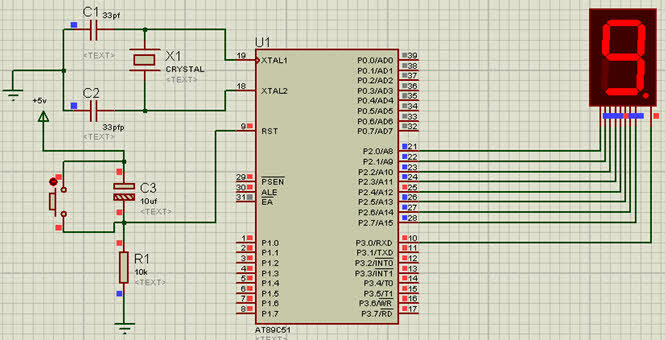 For example LED is connected to the P0.1 pin, it is not recommended to send the value to the port pin directly, first we have to declare the pin with another variable then after we can use anywhere in the program. The “bit” is used for checking the status of the variable. The “SFR” keyword is used to access the SFR registers by another name. The SFR register defined as a special function register, it contains all peripheral related registers by indicating the address. The SFR register is declared by the SFR keyword. The SFR keyword must be in capital letters. The “volatile” keyword is most important keyword in the embedded system development. The variable that declares with the volatile keyword value could not be changed unexpectedly. It can be used in memory mapped peripheral registers, global variables modified by the ISRs. Without using the volatile keyword for transmitting and receiving the data, code error or an optimization error will takes place. The macro is a name it is used to declare the block of statements as pre-processor directive. Whenever the name is used, it is replaced by the contents of the macro. The macros represent by the #define. The whole port pins are defined by the macros. The microcontroller programming will differ for each type of operating system. Even though there are many operating systems are existing such as Linux, Windows, RTOS and so on. However, RTOS has several advantages for embedded system development. This article discusses about basic embedded C programming to develop embedded C programming using 8051 microcontroller. The LED is a semiconductor device which is used in many applications,mostly for indication purpose. It is finding a huge range of applications as indicators during test to check the validity of results at different stages. They are very cheap and easily available in a variety of shape, color and size. The LEDs are used to design message display boards and traffic control signal lights etc. Here the LEDs are interfaced to the PORT0 of the 8051 microcontroller. The 7-segment displays is the basic electronic displays, which are used in many systems to display the numeric information. It consists of eight LEDs which are connected in sequential manner so as to display digits from 0 to 9, when proper combinations of LEDs are switched on. They can display only one digit at a time. 1. WAP to display the numbers form ‘0 to F’ on four 7segment displays ? 2. WAP to display the numbers from ’00 to 10’ on 7segment displays ? The delay is the one of the important factors in the application software development. However, the normal delay will not give the precious result to overcome this problem for implementing the timer delay. The timers and counters are hardware components of the microcontroller, which is used in many applications to provide the precious time delay with count pulses.The both tasks are implemented by the software technique. WAP to generate the 500us time delay using T1M2(timer1 and mode2) ? Serial communication is commonly used for transmitting and receiving the signal. The 8051 microcontroller have consist UART serial communication the signals transmitted and received by the Rx and Tx pins. 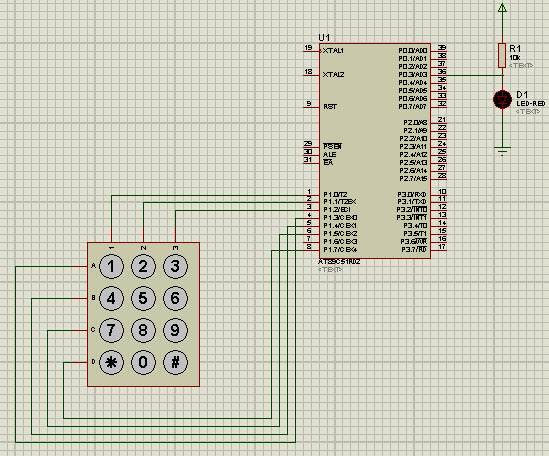 The UART takes bytes of data and sends the individual bits in a sequential manner. The registers are a way to collect and store the data in the memory. 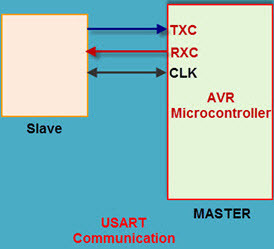 UART is a half-duplex protocol. Half-duplex means transferring and receiving the data, but not at the same time. 1. WAP to transmit the character ‘S’ to the serial window use 9600 as the baud rate? 2. WAP to receive the data from the hyperterminal and send that data to the PORT 0 of the Microcontroller using 9600 baud? The interrupt is a signal that forcing to stop the current program and execute the other program immediately. 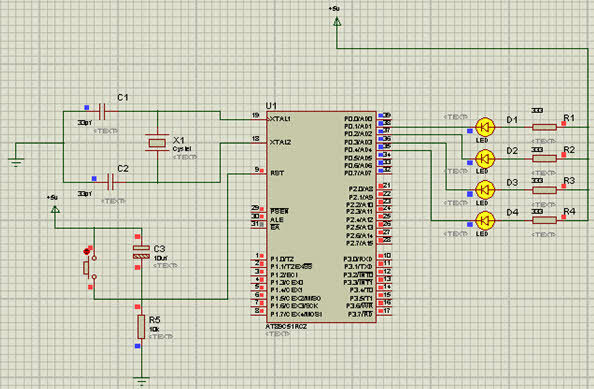 The 8051 microcontroller provide 6 interrupt, which are internal and external interrupt sources. When the interrupt occurs the microcontroller pause the current task and attend to the interrupt by executing the ISR then microcontroller returns back to the recent task. WAP to perform left shift operation when timer 0 interrupts occurs then perform the interrupt operation for the P0 in the main function? The matrix keypad is an analog switching device, which is used in many embedded applications to allow the user to perform the necessary tasks. A matrix keypad consists of an arrangement of switches in matrix format in rows and columns. The rows and columns are connected to the microcontroller such that the row of switches are connected to one pin and switches in each column are connected to another pin, then perform the operations. 2. WAP to Switch ON the LED by pressing the key ‘1’ on the keypad? 3. WAP to display the number 0,1,2,3,4,5 on the seven segment by pressing the respective key on the keypad? The LCD display is an electronic device, which is frequently used in many applications for displaying the information in a text or image format. The LCD is a display that can easily show characters on its screen. The LCD display have consists 8-data lines and 3-control lines which are used to interface to the microcontroller. WAP to display the “EDGEFX KITS” on LED display ? Hope this article gives a basic information about embedded system programming using 8051 microcontroller with a few example programs. For detailed embedded C programming tutorial please post your comments and queries in the comment section below. For more information please visit our blog again. May u plz send me the code the code of automatic railway gate controller. what kind of tool that i can use? what is the way to find programming used ? We are really very sorry to inform you that,we don’t do the Commercial based projects. Because,We deal with embedded projects. Woow very nice and clear,I wish you could give me a very good site where i can go and learn this stuff……………..I really appreciated. Thank you for your appreciation. It really helps us to work hard. Please check our user friendly website http://www.edgefxkits.com for project ideas. . Thanks Tarun! Your tutorials are very well constructed. This site is my favorite place for learning about 8051 microcontroller programming. Thank you for your appreciation.Also, check the user friendly website http://www.edgefxkits.com for all the latest projects ideas. Thank you for your appreciation. It really helps us to work hard. Please check the user friendly website http://www.edgefxkits.com for all the latest projects ideas on Electrical and Electronics.